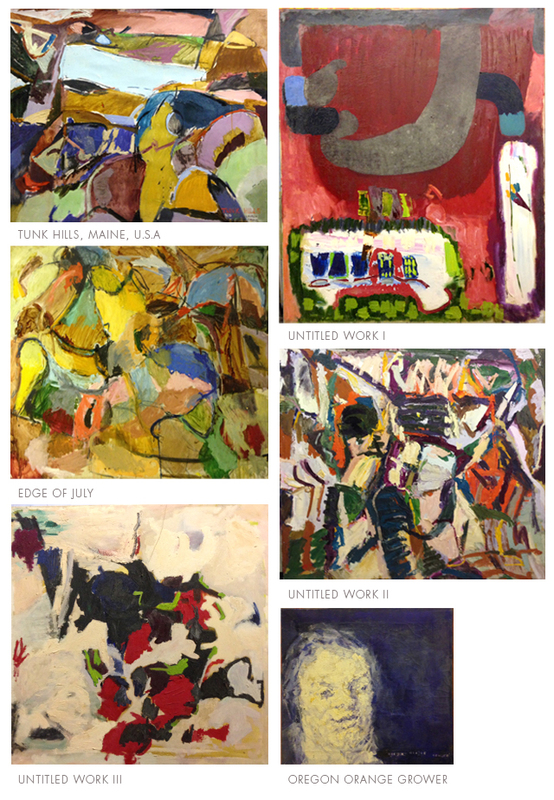 The body of paintings in this, the second exhibition of Carl's work at the gallery, show the artist's keen interest in the transition from Modernism to Abstract Expressionism that had taken place in America since the turn of the century. In particular Carl appears to have been drawn to the work of the early Modernist painter John Marin, one of the first American artists to make abstract paintings and also credited with influencing the Abstract Expressionists. Carl's own work mirrors this progression and the subsequent influence of artists Willem De Kooning and Hans Hoffman amongst others are clearly apparent.